I'm done. I have nothing but appreciation for the information and knowledge I've gained on your sight but this will be my last post on this sight. I offered my information to you and Old School by email. You will have to excuse me if I don't want to publicize my income to others. It's no ones business but my wife and myself what we make and have. You did not accept that offer. Now you ask to see my financials, tax return and such. I don't ask to see yours so how do you get off asking for mine now! If you couldn't figure out a tax rate off of my settlements then your not a very savvy businessman. I feel like you are calling me a liar and for this I have no use for a person like you in my life. Brett let's face it you will never change your opinion or actually give anyone credit for being successful at leasing. Those were the quarterly payments I've made on the truck to this point this year. Old School, your right I do run hard. Though my old co driver had pre existing conditions before he came to work for Prime. He was a heavy smoker and drinker previous to driving with me. I don't think we should hold me responsible for running this truck hard. Your also correct I am out for 12 to 16 weeks at a shot, I rarely see a 34 and the truck never stops moving more than 4 to 6 hours. I finally felt comfortable enough to take 3 weeks off. My truck never stopped moving though. I just came back to work and I am 52 dollars in the negative. Before I took off my co driver took 3 weeks off as well. Now I'm back and will run till The end of October with my co driver. Brett my taxes require 2 accountants one for the trucking industry and the other for my other income. It's not as simple as just giving you my net income. This year quarter one was 4200 and 6700 for quarter two. I did not give you this information because it does not reflect my other business ventures and capital gains. 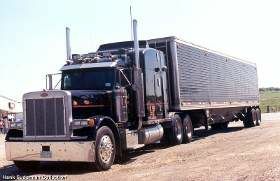 Also it doesn't reflect losses I incurred outside of the trucking companies industry. So far this year leasing I've made 157,000 revenue my fixed and variable costs are 82,000 so before income tax I've Made 67,000 and I have my settlements to prove this. I have less than a year to complete my obligation and at the end will receive a completion bonus which at this point is north of 24000. So as you know I don't agree with this article. Their are risks just driving down the road. As a team driver and a instructor/trainer i can tell you from experience that teaming will definitely test relationships. Believe me it's not a bad thing. As a team you'll be expected to drive the longest runs. It's not uncommon for me to run from the east coast to the west coast 8 to 10 times in a month. In the past 2 years I've put 450000 miles on my freightliner. There are companies that train you together and others that will train you separately. As an instructor I feel being trained separately gives you an advantage starting off in your careers. Having the opportunity to train with different trainers will allow you to be more focused on the career and less on each other. Also you may find that you both may have differing learning curves. One may need more training then the other. This job isn't the easiest in the world and it's less difficult if your significant other isn't in the bunk behind you. After your done training your journey awaits. This is a great question. Last week I had a situation with a drop and hook that was a prime example of why you may want to carry a few tools onboard. After dropping my one trailer I found my other trailer having a tandem issue. The bolt that released the tandem in the front left pin had magically disappeared making it impossible to slide the tandem to the proper position. I informed road assist and to my chagrin they made me aware it may take 5 or 6 hours to get someone out there to repair it. Having a bolt and a couple pair of vice grips I was able to fix the problem and get back on the road in a relatively short amount of time. All the while preserving my clock for driving. Having a few basic tools can be a lifesaver not only will it make you a hero with road assist, it will enable you to stay on the road longer to avoid losing money. 1) 2 hammers one sledgehammer and one standard 20 oz hammer. When it's the winter and you have ice on brake assemblies there is no quicker way of removing it. Also the occasional stubborn pin on the tandem. In the morning I occasionally see guys thump there tires. To me it's a waste of time . A under inflated tire will thump just like a proper inflated tire use an air gauge. 2)Air gauge and tread depth gauge- self explanatory. 3) Assorted hand tools, my tool bag has assorted screwdrivers, vice grips, small ratchet set, standard and metric wrenches, wire cutters, linesman pliers and side cutters. I use these for simple fixes to get me running and profitable. 4) Pocket knife- never know when you need to cut something. (Hopefully it's not to cut cloth for a tourniquet after cutting myself). 5) Battery operated grinder ( my favorite tool) great for cutting bolt or wire type seals, the occasional lock left on the trailer by the previous driver it's the best investment I made! Why struggle with bolt cutters when you just zip it off like butter! Also great to cut off bolts on mud flaps. Most of the time when you have to replace a mudflap the bolts are so rusty it's almost impossible to get them off. Why struggle. 6)Assorted bolts, wire, shrink tubing, screws nuts tape etc. - it's not enough just having the tools if you don't have the part. I went to the trailer shop and the tractor shop at Prime and asked them for the most common parts needed for a simple fix on the road and they hooked me up. 7) Assorted bulbs,fuses and a spool of electrical wire and wire connectors. There's not a light I cannot replace myself. 8) 100ft air hose with glad hand assembly- airing up a trailer tire is never a problem. 9) APU service kit. Oil and air filter and belts. You would be surprised how many shops I go to who can't PM your APU because they don't have the parts. I like my a/c. Also carry some cabin air filters. Nothing like clean air! CSA points due to a warning. Unfortunately your company is right there is no way to fight a warning on your CSA score. The sad news about CSA scores are that they are added whether fault has been established or not. Airplane crashes into you and yep your going to get CSA points. Their is no due process at this time. Right now they are having government hearings on this subject with the hopes of balancing the scale a little. Like all bureaucracies let see how long that takes. Boy Colin it really depends on your needs. As an instructor I've seen people at Prime with only the barest of funds. Not a recommended route to take but it's been done. If selected by Prime they will take care of you room, food and transportation as soon as you arrive. By far they seem to be the most generous company during training. After your first week ( orientation) and when you pass your permit you will be advanced 200 dollars a week for food and incidentals while out with your instructor. This lasts for approximately 3 weeks. After your PSD phase you will go through your TNT portion and you will receive 700.00 a week training pay. This generally can last between 4 and 6 weeks. Excluding your personal bills I believe somewhere between 500 to 1000 would be more than enough to see you through. The most efficient way possible. Scenery is everywhere if I don't see something today there's always tomorrow. LOL I just had my eye check up last week. Always have 3prs on the truck. 2 regular 1 sunglasses. Good post I don't know if it's actually true but another driver had told me 2 pair were required. I've never checked so maybe someone could shed some light on it. Last week was the first week in the yard since January. Sat in the Cafe a while drinking water so I could get my physical it's amazing overhearing the conversations of constant complaining how these drivers aren't making any money out there. No need for me to interject because some of them were sitting there when I rolled in on January. Turtle it's sounds as if you found the secret sauce Congratulations! It's great when someone actually listens to old geezers like Old School and takes the bull by the horns. Keep it up!!! Victor I have used the Tom Tom, rand McNally, and Garmin and can tell you all will get you to where your going with good trip planning. I prefer the Rand McNally do to the atlas built in and the advanced knowledge of hazards along the way. The gps mimics the atlas better in my opinion. But I have no problem using any one of them with proper trip planning. As Susan and others have pointed out you can't rely on one method to navigate you to your destination, all you need all the tools in your arsenal and some common sense. As an instructor I've seen so many students struggle with trip planning because they didn't want to do their trucking homework. Look at it as if you don't do you homework you can skate by for a while, but sooner or later you will fail. So let me show you how I train my students how to trip plan and see if this helps. First as Susan mentioned a Rand McNally (preferably the laminated one) truck atlas and a straight edge or ruleris vital. This is the start of everything in trip planning. If I were coming from Atlanta Ga. to Portland Or. ( United States pg 2 & 3 )how would I get there? I take a straight edge and with a dry erase marker I highlight a straight line from Atlanta to Portland. Now you have guideline to find the most effective and efficient route. Starting with the interstate system we can figure out 95% of our trip without any other tool. The interstate numbering system was made quite simple. Highways going West to East are even numbers and South to North are odd numbers. Mile markers go west to east and south to north. If you are on I 75 and get route on a bypass like 275 475 etc. it will always route you back to 75. If you see I 175 375 etc. this is a direct branch that doesn't return to the original interstate you were on. So let's see my route ( I 24 west to I 57 north, I 57 north to I 64 west, I 64 west to I 255 north) This is just short of St Louis, since this is a major city with many interstate arteries the bypass is 255 for the east half and 270 for the west half. We are on the east half so it will be I 255. So I 255 north to I 70 west, I 70 west to I 435 north, ((Kansas City bypass)) to I 29 north. This is pg 57 through 59 in the atlas. I try stay on interstates as much as possible but in certain circumstances I know a heavily used state route that saves time. So I am traveling on I 29 north and I get on Iowa 2 at exit 10 and head west. This road eventually turns into Nebraska 2 ( pg 62 and 63) and ends in Lincoln Ne. Nebraska 2 to U.S. 77 north which ends 3 miles away at I 80. Take I 80 west to I 84 west in Utah (pg 103). I 84 west to Portland and TA-DA 95% of my trip done! Its extremely important to remember all the major cities along my route. Traffic patterns change daily so if you can remember which major city is next on your route and which direction your headed if something does change you can be prepared. Getting closer to major cities I always keep a mindful eye on the signs ( Interstate number, direction north, south, east, and west, and the Major City that it leads to. If you've driven in the Dallas metro area lately I say no more on its importance. Now this is my preferred route. Do I just go for it? Nope. My next step is checking weather, road closures or anything else they may make me change my route. So we just completed the easy 95% but now we still need to pick up at the shipper and drop at the receiver so this is where you not only need your atlas but your other tools in your arsenal as well. Once I have the addresses the first thing I do is use my Qualcomm and find the I need directions to_________ command. Prime it's macro19 in compose. This gives me written instructions on the address and how to get there safely. The best part is that the drivers themselves have written most of this and have been there already. Not only does it give directions but many times it has important information on hazards, alternate routes, and shipper and receiver information. Now that I narrowed it down I check my google maps satellite to narrow down the shipper or receiver. Making sure as I get close I am aware of hazards close to the destination. I also start planning the way I will approach my backing maneuvers while I'm at it. Guess what I did all that without a dang GPS. I finally turn the darn thing on, enter the addresses and compare my route to my route I've planned. Plan my fuel stops, 10 hour breaks, 30 minute breaks and showers. Keeping in mind to give myself other options and now I am ready to roll. That's a reasonable 1st year estimate. You should be able to budget that average on a monthly basis. Remember some weeks maybe less and others better. Self Driving Vehicles? Wait Til You Hear This Joke! You're absolutely on point Brett. How many new drivers do we tell not to follow the GPS as law but as a guide? Yet in the infinite wisdom of higher profits these company's think they can take out the driver element to the equation. Just ask any Uber or Lyft driver how they like the company mapping. They are beyond frustrated with it. There's a long way to go on this frontier ladies and gentlemen so I wouldn't start thinking about a career change just yet.